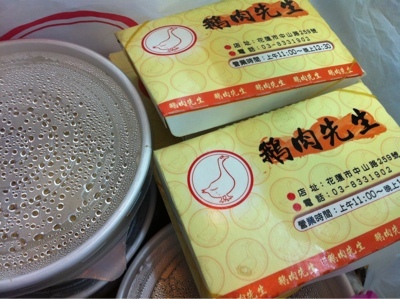 The Hualien locals will usually recommend this goosemeat restaurant. 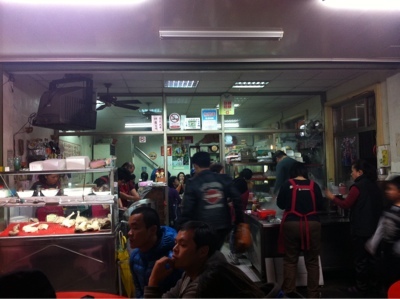 It is usually crowded, and the owners and helpers are rather friendly despite the crowd and are ready to give you advice if you are lost on what to order. You have a choice of goosemeat - lean and fatty, and you order by weight. 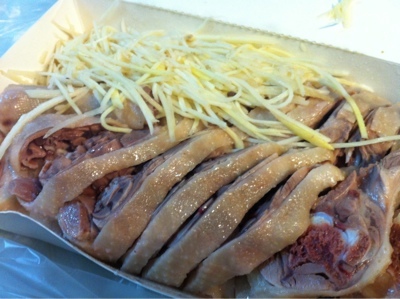 The meat is served with shredded ginger and the sauce, with hints of basil, goes well with it. You can order noodles, rice and vegetables to complete your meal. The goose liver is good - powdery as we would describe it. We didnt enjoy the goosemeat as much as we found it more tough than the duckmeat we are used to. 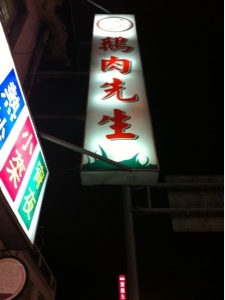 Location : near Jung Shan Rd and Jung Jeng Rd intersection.